Catchy - Premium wood kendama! The Catchy Standard Kendama is perfect for beginners getting into kendama or advanced players looking for a new daily jammer. It has a traditional shape, mid-range weight, and a really nice balance and feel in play. The Catchy Standard Kendama is constructed of solid beech wood with a stripe paint design on the tama that helps with tracking tracking rotations. 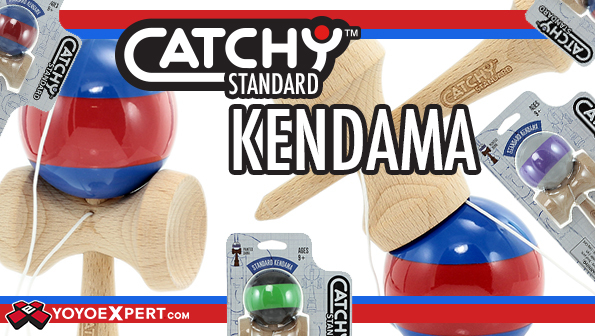 Whether you are learning kendama for the first time or looking to advance your skills, the Catchy Standard will not disappoint!